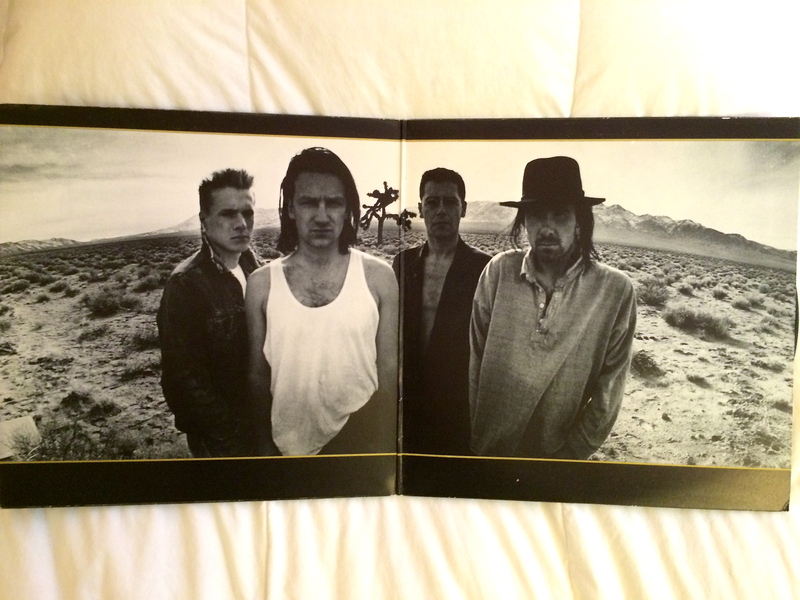 Even after listening to The Joshua Tree dozens of times, I still didn’t consider myself a “true” fan. Back then I believed a real fan had to attend a concert. For me, going to a show was a big deal. First, I had to be able to afford to buy a ticket. Second, I had to have permission from my mom. Now that I think about it, I needed to get my mom’s permission first. I wouldn’t be going anywhere if she said no. Truth be told, I was failing a few of my classes and getting into trouble outside of school. She was frustrated with me but gave me room to deal with it myself. I always tried to mollify her concerns by telling her I was okay, but I really wasn’t. I wasn’t ready to tell her how unhappy I was or how much I missed Dad. When I learned that that they would be coming to San Francisco (technically Oakland Stadium) I knew I this was my chance. My best friend RJ also wanted to go and had already decided to buy tickets when they went on sale. These were the days before the Internet so if you wanted to buy them, you had to go to a ticket broker or the venue itself. In the Bay Area, music stores like Tower Records and The Wherehouse had outlets inside where you could buy them. But, you needed to get there early if the group or artist was popular. You could always tell when there was going to be a big event because people lined up the night before. Thankfully, RJ already said he would do it. He had more lenient parents because there was no way my mom would have let me stay in a parking lot in the city overnight. With the ticket problem solved, the big challenge was my mom. The concert was on Sunday, November 14, 1987. I had school the next day and it was in Oakland, California. I prepared this whole argument about how the stadium was right off the freeway and we wouldn’t be going into any of the rougher parts of town. I had a list of reasons why this would be my only opportunity to see them. I had a back-up plan of simply begging. So one night after dinner, and after doing the dishes and taking out the garbage I was ready for my pitch. I decided to simply ask her if I could go and was ready to be upset if she said no. I was worried that I hadn’t earned the right to go. With a list of rebuttals in my mind, I was like a lawyer trying a case. But all that was unnecessary, because she said I could. Years later she admitted to me she didn’t want to say yes, but when she saw how happy I was, it made her happy. She said that I had been sad and quiet for so long. My phone rang at five o’clock on that Wednesday morning and I almost didn’t answer it. But, I got up to yell at the idiot calling at 5 am. As it turned out, it was my buddy RJ. 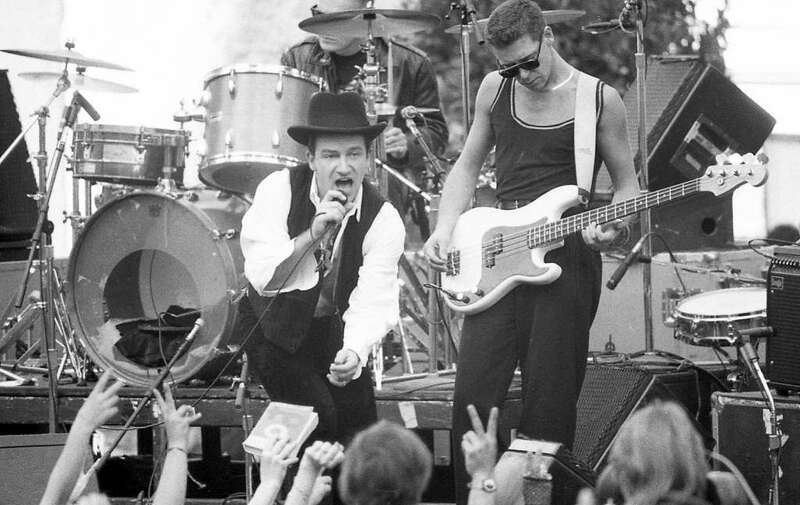 “Dude,” he said, “U2 is going to play a free show in the City today, before the real concert, do you wanna go? I was barely awake, but still coherent enough to say yes. He said he would pick me up in thirty minutes. I was ready in fifteen. RJ picked me up and we drove into the city. He explained on the way that they would be playing a free concert at Justin Herman Plaza at Embarcadero Center. He also said that we would have a prime location at his mom’s office building, which overlooked the plaza. We would have a bird’s eye view of the show and not have worry about being crammed together with thousands of other people. I still have no idea how his mom got approval for us to be there, but I was glad she did. We arrived at the office and met her at her desk. She then led us to an outside stairwell where we had a fantastic view. There were thousands of people already waiting and I was so glad we weren’t in the throng. A flatbed truck was parked in front of the water structure. There was a drum kit, a stack of amplifiers and three microphone stands positioned on the bed. I remember thinking how simple and stripped-down it looked. It seemed plain compared to their other concerts that I had seen on MTV, but ultimately I had no idea because I had never been to one. There was an electric excitement in the air and everyone around buzzed with patient enthusiasm. The band’s staff was walking the area, talking into their crackling radios and seemingly oblivious to the crowd as they were going through their sound and video checks. And because a big rock band was giving a free performance, there was a heavy police presence as well. 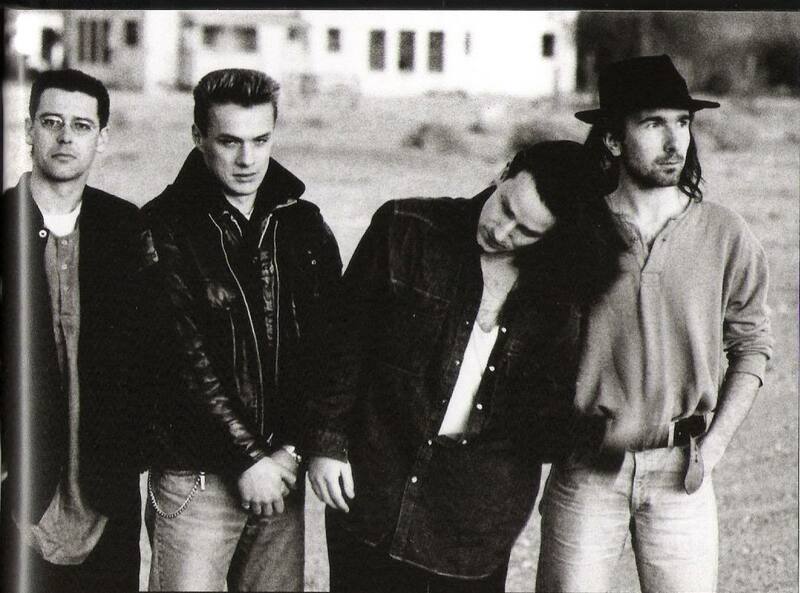 Rather than detail the awesomeness of this show, let me just say that their show was captured brilliantly in the band’s film Rattle & Hum. My words cannot do it justice and I’m sure fans—especially ones of my generation—have seen the performance. So to state the obvious: it freakin’ rocked. Seeing the band play and watching Bono sing for the first time in my life was momentous. It was literally one of the best days of my life. I l kept thinking, that’s really them. There is something magical about seeing them live, like all your senses have been enhanced. Towards the end of the show, Bono picked up a can of spray-paint and wrote, “Rock ‘n Roll Stops the Traffic” on the water structure. The crowd roared its agreement and he ran back to the stage to finish “Helter Skelter” and I wondered if he would get into trouble. He did. The time after the free concert was surreal. It was strange that everything felt slightly different that day. We left the city and thought about where to eat. Our friends Cecca and Julie met us in the afternoon to hear how it went. While at McDonalds I couldn’t stop gabbing about how awesome the show was. I felt like a lightning rod after a storm. As special as that was, it was only a prologue of what was to come.